I love a great bargain. I’m the type of girl who drives miles out of the way to save a few cents on gas. I never head to a store without first checking online for coupons. And I have no shame admitting I go to Great Clips whenever I need a haircut. (I just wish my savings account took note of all my cost cutting ways.) Simply put, if there’s a deal to be had, I’m on it. So, while I admire luxury brand makeup, I still can’t wrap my head around a $60 tube of lipstick. I’m definitely more drugstore than department store. There’s only one downside … with thousands of products on the shelf, it’s a bit overwhelming. Which $6 mascara is really the best? 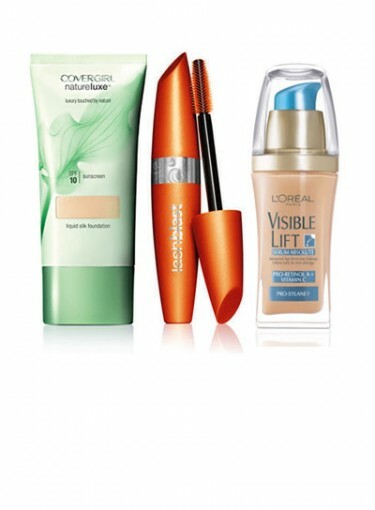 Click here to see our beauty experts’ top drugstore picks. Who better to ask than a bunch of high-profile makeup artists? With access to every product under the sun, they know good makeup. And these artists also believe you don’t need to drop a ton of money to look beautiful. Many of them know the drugstore can be a great place to find a cheap alternative, without sacrificing quality. From eyeliner to makeup remover, they covered it all. And you might be surprised at some of these experts’ picks. Can you guess which foundation is just as good as Dior’s? Or what blush is used on the set of “The Vampire Diaries”? You can find those answers ahead — and on the shelf at your local drugstore.